Getting 30 minutes of cardio a day is a great step toward living a healthy life. If only that was sufficient, though! As more and more of us spend the rest of our day trapped behind a desk, the “incidental exercise” that we can choose to avoid plays an increasingly important role. Have you heard of the “10,000 steps”? This is the goal recommended by the American Heart Association for daily walking. Most of us take about half that many steps each day. Not good, but how can we improve that? Of course, there’s an app for that. 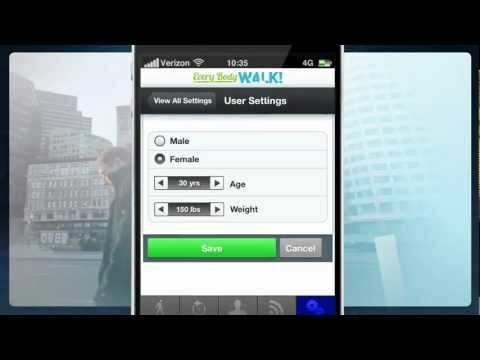 Several companies are offering dedicated devices and/or applications for smart phones that let you track your daily walking. Many of them offer clever ways to keep you engaged, like competition with your friends or engaging graphics that chart your progress. But what really matters is how many times your move your feet, and there’s no app for that. Walking 10,000 steps a day isn't really as difficult as it sounds. There are some easy strategies that can really move you closer to this goal without requiring more than a change in habits. Do you work in an office? How about using the printer or copier that’s further away from your desk? Those trips to get your printouts can be mini-marathons. How about taking the stairs instead of the elevator to climb a flight of stairs or two? Maybe take a victory lap around your work group after you complete a task. Really, any excuse to stand up and take a few steps can make a difference. Stuck at home? How about a new policy of always using the bathroom that’s furthest away from where you are sitting right now? What about a walk around the block to clear your head after a brutal session of reality TV? Too cold or rainy to go out? Just march in place during those incessant commercial breaks and you can accomplish wonders. Getting your heart going doesn't take a gym full of equipment. Just change your habits a bit and you will surprise yourself. 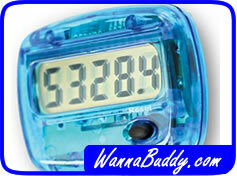 That pedometer app on your smartphone will be proud of you!